The Colorado Springs real estate market seems to have carried over momentum from 2014. January witnessed both home sales and prices increase in the Colorado Springs area. Moreover, houses entering into the foreclosure process declined to their lowest rate in almost 13 years. Conditions in the Colorado Springs housing market seem to be in a sustainable, upward direction and show no signs of slowing down. The area should continue to see a prosperous rebound for the foreseeable future, and beyond. The Colorado Springs real estate market boasts a median price of $231,500. On a national level, homes are about $15,000 less, but appreciating at a faster rate. Whereas values in Colorado Springs have grown 4.2% in the last year, the average for the rest of the country increased $4.7 percent. At those rates, Colorado Springs was able to remove itself from the depths of the recession and actually see equity return to the market. In fact, with equity flooding the market, homeowners in the area were given a little more breathing room. Homes purchased in the Colorado Springs housing market one year ago have appreciated, on average, by $12,710. The national average was $12,783 over the same period. Homes purchased in the Colorado Springs housing market three years ago have appreciated, on average, by $47,039. The national average was $55,406 over the same period. Homes purchased in the Colorado Springs housing market five years ago have appreciated, on average, by $50,660. The national average was $49,675 over the same period. Homes purchased in the Colorado Springs housing market seven years ago have appreciated, on average, by $28,705. The national average was $9,474 over the same period. Homes purchased in the Colorado Springs housing market nine years ago have appreciated, on average, by $47,782. The national average increased $3,419 over the same period. Colorado was the beneficiary of a very progressive 2014. Since the turn of the century, no other year has demonstrated quite the propensity for employment growth. Perhaps even more importantly, economists are optimistic that the state’s economic expansion will only increase in the coming year. The state of Colorado, however, is preforming considerably better than that of Colorado Springs. Nevertheless, the expansion of Colorado Springs’ economy is actually outpacing many Western cities. Colorado Springs posted the largest quarterly drop in unemployment in the country in the last quarter of 2014. One year ago, the unemployment rate stood at 7.5%, considerably higher than today’s 5.1 percent. Not only is the unemployment rate in Colorado Springs better than the national average, it is continuing to improve. With job growth expected to hover around 2% on the year, the job sector will continue to support local supply and demand within the housing sector. In addition to a promising job sector, the Colorado Springs real estate market has one great thing going for it: affordability. Homeowners in the Colorado Springs area have grown accustomed to the fact that their mortgage payments will take up about 12.4% of their monthly income. However, compared to the rest of the country, that is relatively small. On average, the rest of the country spends more than 16% of their monthly income on mortgage payments. The combination of both a promising job sector and affordable hosing is a recipe for success. Economists predict these factors will draw the interest of younger Americans. Millennials, in particular, will find it easier to live in Colorado Springs than many of the other major metros where prices are returning to pre-bubble highs. As recently as January, Colorado Springs witnessed 636 single-family home sales, nearly 7% more than the previous year. The jump in sales represents the sixth consecutive month in which sales outpaced the previous month. However, not only did the number of sales in crease, but also the median price in which they sold for saw a jump. In fact, prices have risen 8 out of the last 9 months. The Colorado Springs real estate market is relatively healthy, according to the valuation site Zillow. A lot can be said about the state of the economy, a promising job sector and affordability, but foreclosures also need to be accounted for. In regards to Colorado Springs, foreclosures are not really an issue. In fact, not even 3% of the owners in the area are late on their payments. On a national average, more than 6% of all homeowners are considered to be delinquent. Even the amount of homeowners that are underwater is lower than the national average. Just 16.7% of Colorado Springs homeowners owe more on their house than it is worth. Of these neighborhoods, powers and Southeast Colorado Springs are the most popular, with average listing prices of $217,945 and $158,859. The Colorado Springs real estate market, much like Denver, has received significant support from the job sector. 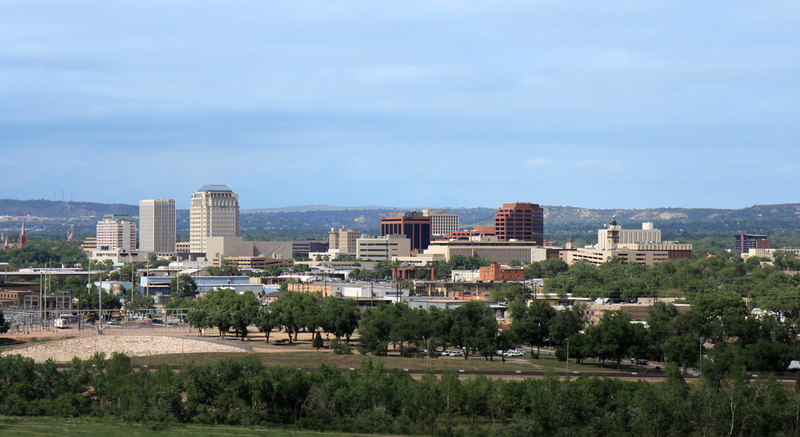 The city is home to Fort Carson, Peterson Air Force Base, Schriever Air Force Base, NORAD and the U.S. Air Force Academy. That said, the number of military residents alone should support supply and demand. With a combination of factors supporting the housing industry, it is not hard to see why economists believe Colorado Springs is in for a great year. The Colorado Springs real estate market, along with many others in the state of Colorado, has made up a lot of ground since the recession. While many of the hottest cities across the country have seen appreciation rates temper, Colorado Springs still exhibits a propensity for price growth. Over the last year, homes in Colorado have appreciated by as much as 9.4 percent. The national average, on the other hand, is just below seven percent. Homes in the area now have an average price of $220,100 and prices continue to grow relative to last year. While unemployment has increased slightly, up to 5.4 percent from 5.1 percent last quarter, it is still under the national average. On the other hand, the job growth in the area increased modestly. Last time we checked in on the Colorado Springs real estate market, job growth was at two percent, now it is at 2.2 percent. For an economic standpoint, things have progressed. Appreciation rates have certainly helped many homeowners, but higher priced houses have also lead to a lot of foreclosure activity. According to RealtyTrac, the Colorado Springs real estate market has approximately 1,037 homes in some state of foreclosure (default, auction or bank-owned). At that rate, foreclosures are 125 percent higher than they were at this point last year. The increase is largely the result of more auction foreclosures, or those homes that have already been repossessed and are going to be sold at auction. Auction houses increased 600 percent in the last year and now represent 67.7 percent of Colorado Springs’ distressed market. Colorado Springs real estate investing should see an increase in activity, as these homes have the potential to harbor great profits. According to RealtyTrac, distressed properties in this particular market sell for about 31 percent less than non-distressed homes. That is a savings of nearly $67,575.